La République En Marche and its ally MoDem (Democratic Movement) won 32.32% in the first round of the parliamentary elections last weekend, ahead of Les Républicains and its allies on 21.56% and the far-right Front National on 13.20%. The Socialist party took 9.5% of the vote with its allies. “Reform” is in the air. From outside, the stereotypes about France routinely include its 35 hour working week, its high unemployment, its allegedly rigid labour laws and the supposed rules against workers receiving work-related cellphone calls out of hours. In line with those perceptions, Macron might seem likely to have a very short honeymoon period indeed, given his declared intention to reform France’s labour laws over the course of the northern summer. In the past, labour reform has been a reliable way of triggering massive street protests and government backdowns. Once again though, Macron may be in luck. His prior good fortune in the poor calibre of his electoral opponents seems to be extending to the prospects for his legislative agenda. He’ll not only have a whopping majority willing to pass his programme. More importantly, most of the heavy lifting has already been done on labour law reform in France, given the eventual passage late last year of the so-called ‘El Khomri’ law that now makes it easier for companies to lay off workers, cut the overtime pay for any labour done beyond France’s statutory 35 hour working week, reduce redundancy pay, and shift the balance of workplace laws from collective agreements (at a national or industry level) to a company level. Lexology has put together a good summary of the 2016 employment law changes and trends, available here. Some of these changes are being phased in, gradually. Much of what Macron is calling “reform” has to do with speeding up the pace of those changes. He has long been associated with labour reform ; a partial draft version of the El Khomri law was being called the “Macron Law” back in 2015. The substantive part of what Macron is proposing in 2017 will cement in place the employer-friendly shift of focus from the sectoral level to the company level – with further opt outs being offered to employers beyond the “flexibility” they won last year to avoid overtime rates for imposing work requirements beyond the 35 hour week. The rules on unfair dismissal will be relaxed, the compensation process will be amended, and the decisions by arbitration tribunals (which currently can take up to two years) will be sped up. The declared purpose of this reform agenda is to enable Macron to tackle the high rates of unemployment in France, by encouraging employers to create jobs and take on staff without fear of the consequences of shedding those workers in future, in the event of an economic downturn. 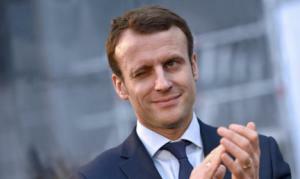 Given the experience in other countries of how such “ flexibility” has been wielded in the past, no wonder Macron has been painted by some of his critics as a neo-liberal shill hellbent on pursuing a Blairite, Third Way agenda – whereby French workers will be paid less for working longer, and will have fewer protections in future against (and access to adequate compensation for) unfair dismissal and sexual harassment. In the choices he has made for what is a slimmed down Cabinet, Macron has stressed gender balance and political diversity. Gerard Collomb, the he Socialist mayor of Lyon, will head the powerful interior ministry. On the other hand though, Macron’s picks as Prime Minister (Edouard Philippe) and Economy minister ( Bruno La Maire) are both from the political right. Mr Le Maire is for a free-market economic agenda, calling for the privatisation of France’s labour offices, the end of subsidised jobs and capping of welfare benefits. For now, Macron and his new band of deputies enjoy a great deal of goodwill from a French public that is reportedly bone tired of the old major parties. In a couple of months when the summer labour riots are in bloom, we’ll have a much clearer idea of the bottom lines in the Macron presidency. And the tolerance level of the French people, once the initial romance has faded. Somehow, the planet has survived another week of Donald Trump. Every week, you think he’s reached the apex of weirdness, but no… so, here a few of the week’s highlights you may have missed. 2. Qatar: Bad? Good? A week ago, Saudi Arabia, Egypt and the rest of the Gulf States announced a boycott of Qatar because – allegedly – it was too pally with Iran, and funded terrorism. On Monday, President Donald Trump tweeted his support for the boycott move. On Wednesday, the US sold Qatar $12 billion worth of 36 F-15 fighter jets. Qatari Defense Minister Khalid Al-Attiyah and his U.S. counterpart, Jim Mattis, completed the $12 billion agreement on Wednesday in Washington, according to the Pentagon. The sale “will give Qatar a state of the art capability and increase security cooperation and interoperability between the United States and Qatar,” the Defense Department said in a statement. Qatar hosts the regional headquarters for U.S. Central Command, which includes a state-of-the-art air base the U.S. depends on to target Islamic State. Qatar’s Defense Ministry said the deal would create 60,000 jobs in 42 U.S. states while reducing the burden on U.S. forces. The F-15 accord will lead to “closer strategic collaboration in our fight to counter violent extremism and promote peace and stability in our region and beyond,” the ministry said Wednesday in a statement. The U.S. position was further muddied last Friday, when Tillerson called on Saudi Arabia to ease the blockade, only to have Trump, at a White House news conference hours later, say the move had been the right one. As the Marx Brothers would say: hail Freedonia! 3. Money laundering We all know about the supposed links between money laundering and terrorism. Here’s someone who used to be really deep into money laundering : Donald Trump.